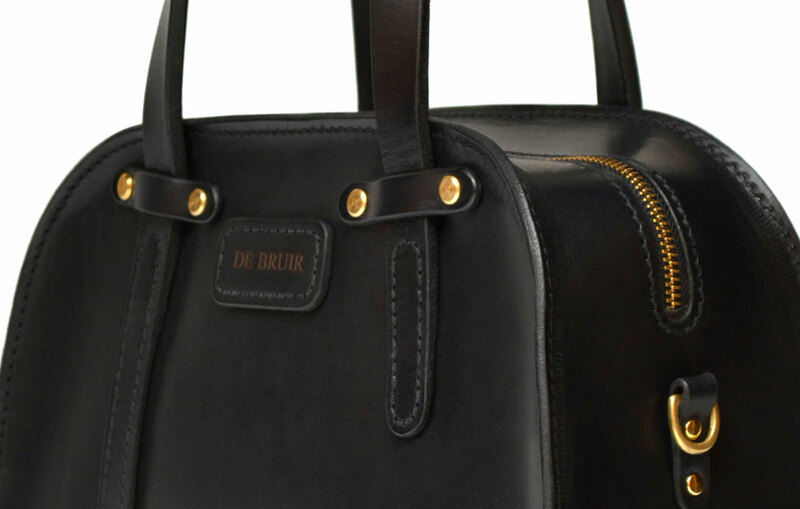 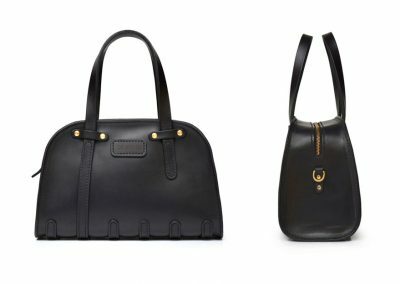 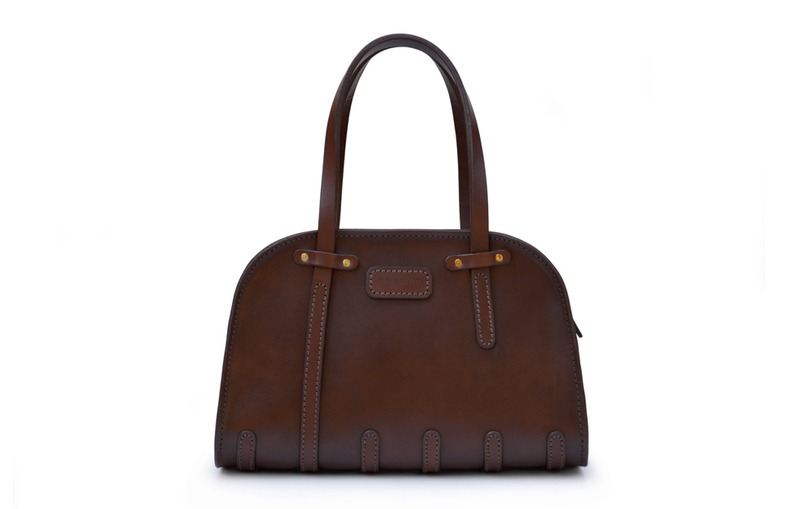 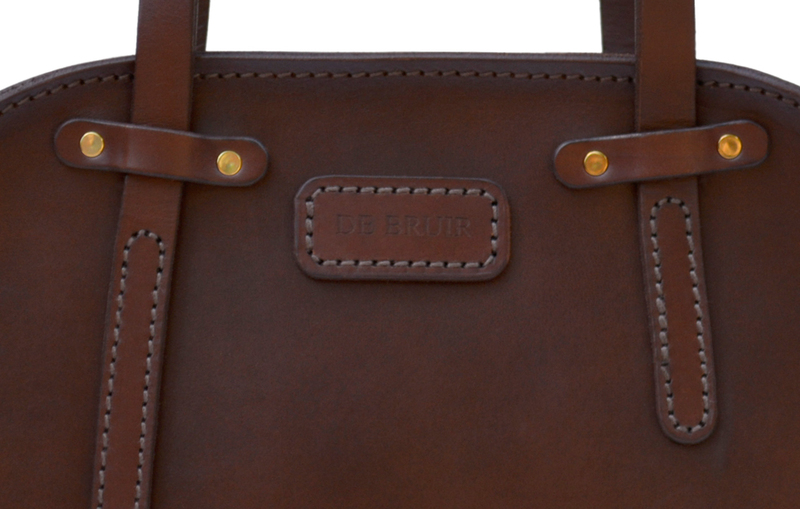 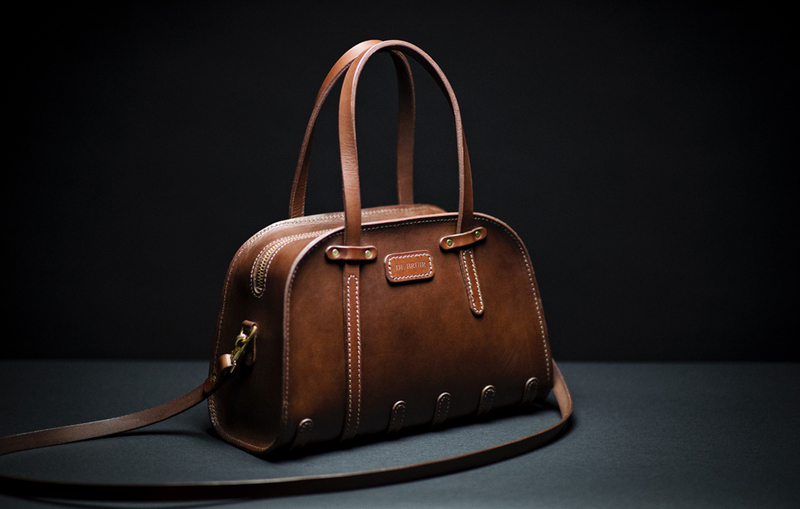 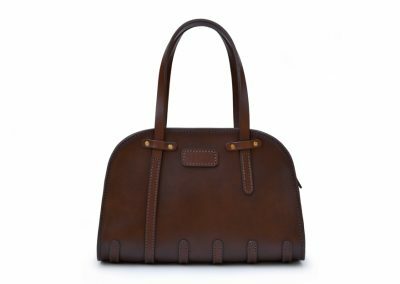 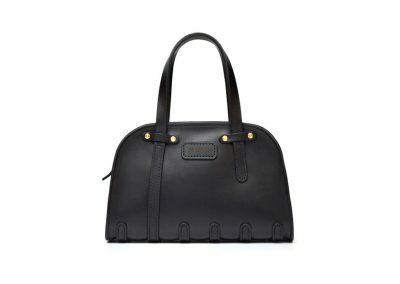 A timeless accessory; the DE BRUIR Handbag is suitable for all ages. 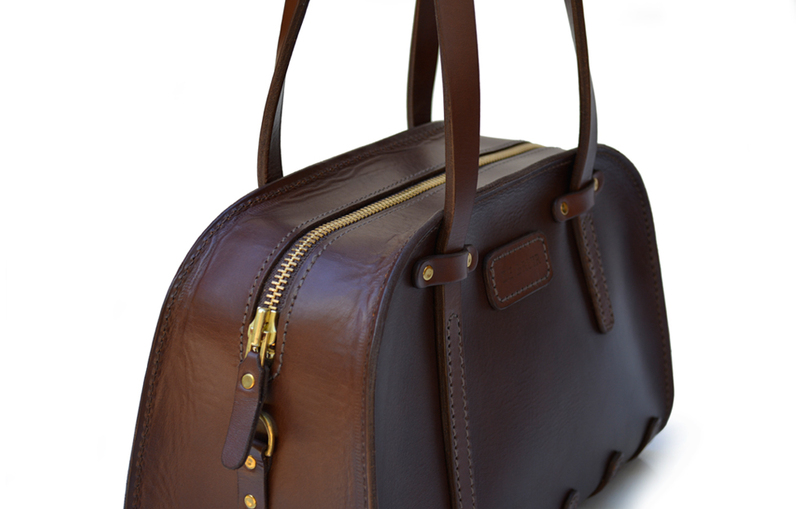 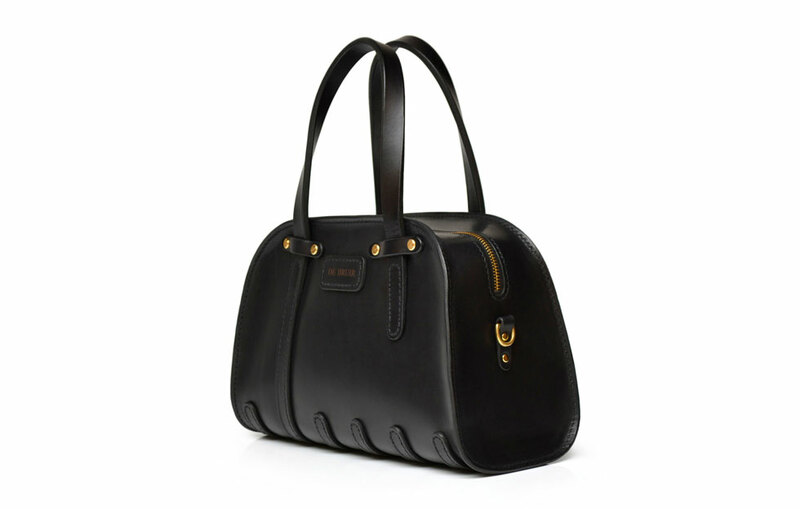 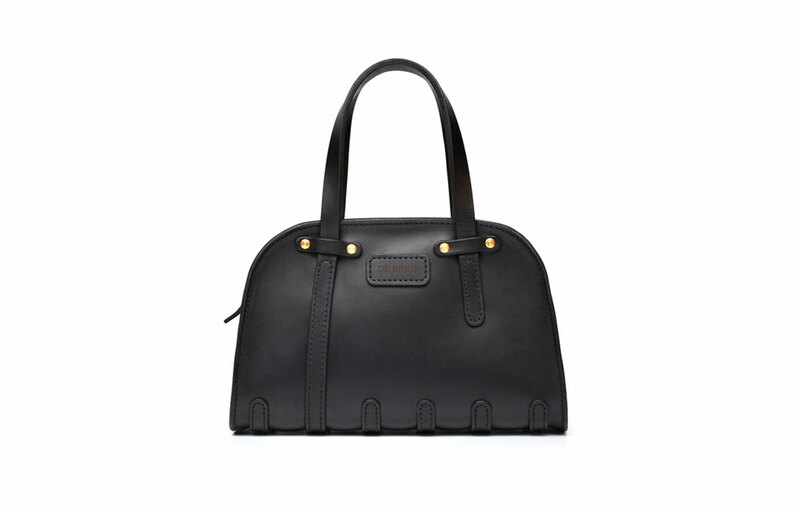 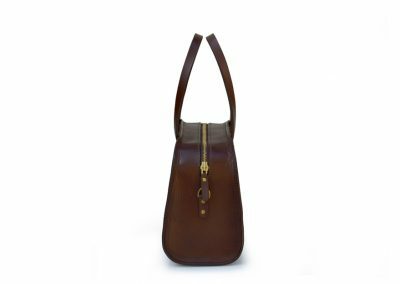 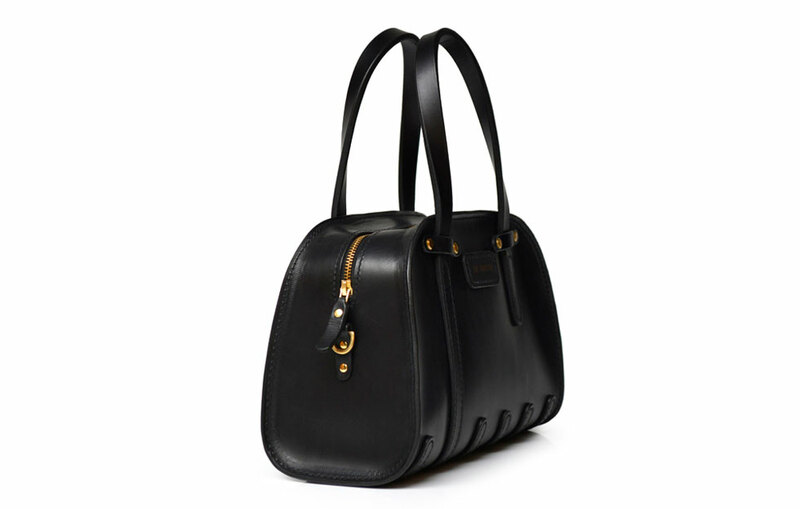 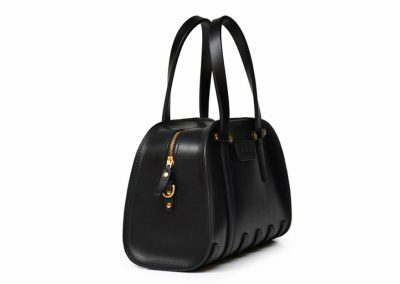 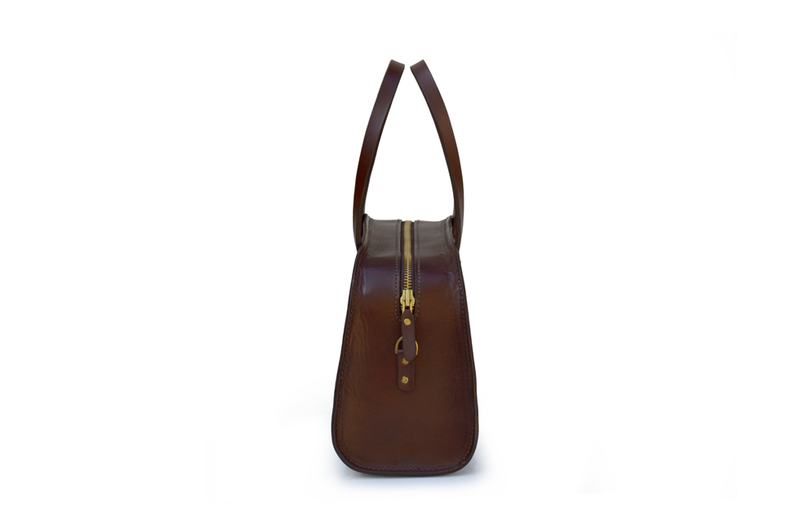 It stands upright, has a spacious interior and an elegant zip closure. 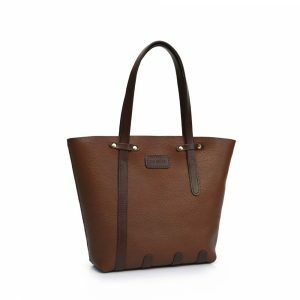 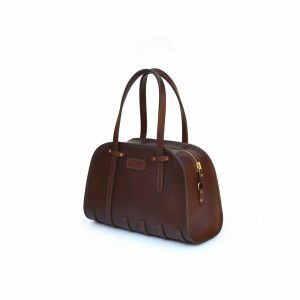 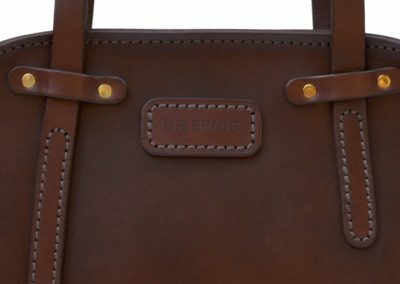 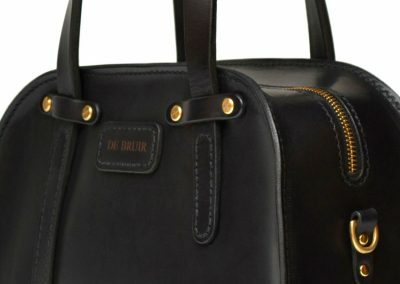 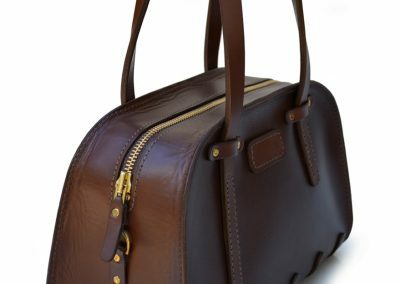 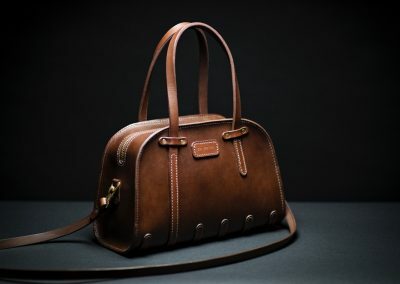 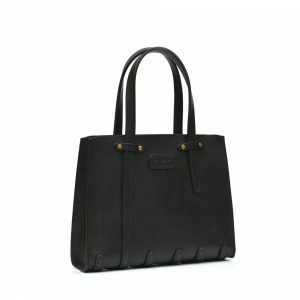 The Handbag sits beautifully on a row of protective leather skids that extend through on each side to the carry handles. 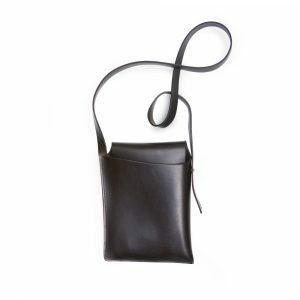 A removable shoulder strap provides a second carrying option.